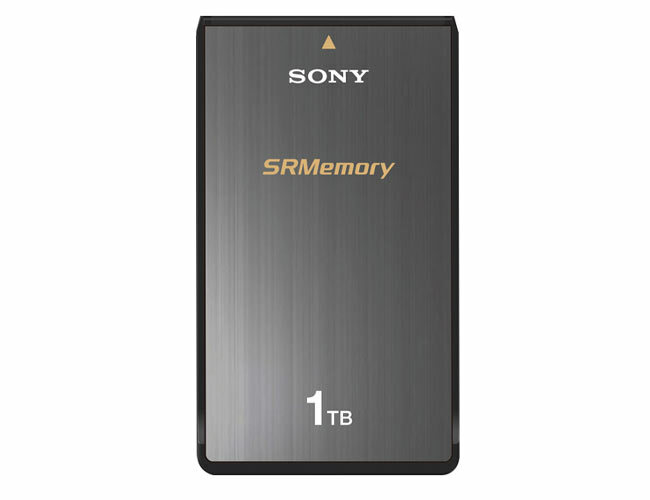 Sony have announced the release of a new SRMemory card to their range equipped with a massive 1TB storage capacity. The SRMemory cards are around the size of an iPhone and are available in other storage capacities 256 GB, 512 GB, the new 1 TB size. Sony’s SRMemory cards are capable of a sustained data rate of 5 Gbps and are equipped with internal memory controller chips and circuits and data security on the devices is a paramount. A 1TB SRMemory card is capable of recording at 24 fps for 50 minutes of footage in 4K 16 bit RAW format. The new are 500 percent faster than Sony’s SXS Memory cards but unfortunately no information on pricing or worldwide availability has been released as yet by Sony.